Since this had been our first year home schooling, we have hit a lot of bumps in the road. When I discovered lap booking I was pretty excited to have some type of interactive workbook for the kids to track their learning and learn from. We make lap books out of a manila file folder and there are so many free resources out there that give templates to print out and books to use so I have not been short on resources or ideas. However, some lessons are hit or miss and the one we did on Thanksgiving seemed to drag on forever. The content was interactive and well thought out but was so repetitious, even I was bored and couldn’t wait for the unit to be over. I will say this, my kids know more about the first Thanksgiving and the Mayflower than I ever did and I learned a thing or two as well. You can find free lap books on almost any topic. For this unit I found a sale on a thanksgiving unit and lap book set for $3 and didn’t see the harm in spending that much for what I was getting. I loved that Amanda Bennett’s lessons are Christian in focus but not in a way that would be off putting to a secular home school in my opinion. 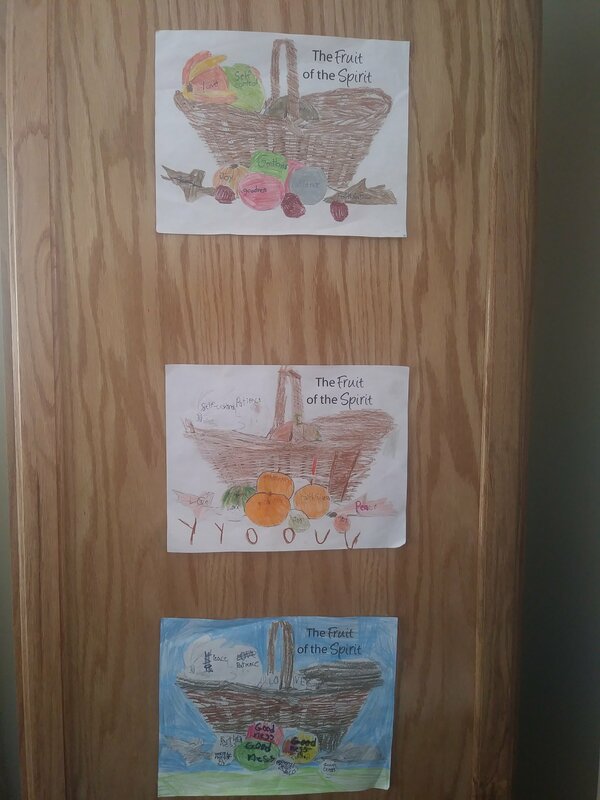 She also offered a co-op on her face book page where she had additional printables and craft ideas that I found useful like this fruits of the spirit worksheet my kids did. This was the first unit that I had done of hers and also bought one on Christmas (which I’ll save for next year) and one on Israel. Everything with homeschooling is a learning curve and I’m learning that I can skip over topics or pieces of information that we don’t find interesting or that become repetitious. However, for this particular unit, my kids and I couldn’t wait for it to be over and so we never technically finished it. Sometimes, I think that concepts over facts are more important for children. I mean, I didn’t expect them to actually remember the famous pilgrims age or even their names, but when this topic gets brought up, they understand why we celebrate Thanksgiving day and how it came to be along with some historical facts to support their knowledge. We will have to keep ya’ll posted on future lapbooks from this source. As of now, the jury is still out and we will be exploring a free lap book and unit for our unit on Greece! Share this moment with a friend.